Just when you feel like you have your new life under control—well, sort of—it hits. Your three to six week old baby cries for hours, won’t be soothed and won’t sleep unless you carry her everywhere. You’ve ruled out the usual problems, no diaper changing needed and he’s not hungry—so it’s likely your baby is colicky. If in doubt, always double check with a doctor to rule out a more serious illness. Causes are unclear but colics are blamed on a yet undeveloped digestive tract, and typically resolve at about 3-4 months. It’s a good idea to rule out allergies in mother and baby even while breastfeeding, and it’s recommended the breastfeeding mom avoid foods that are known to increase gas (cauliflower, cabbages) or have a punch (garlic, spicy foods). Rest assured that breastfeeding is best for moms and babies, but sometimes a lactation consultant can help to minimize worries and possible problems that can occur while nursing. Increasing infant contact with the parent is a good idea (think baby slings), tight swaddling can provide some comfort and baby massage is another excellent addition to the regimen (take a class near you). Carrying the baby around in a colic hold (see picture) can put just enough pressure on the baby’s tummy to offer some reprieve. But there will be times when you’ve tried all that and nothing seems to work—this is when homeopathy often comes to the rescue. Homeopathic remedies are exceptionally safe for young children and babies, as they are non-toxic. Even Dr. Weil, recommends homeopathy for colic. Since there are no generic homeopathic remedies, the medicine must be be selected individually according to the symptoms. 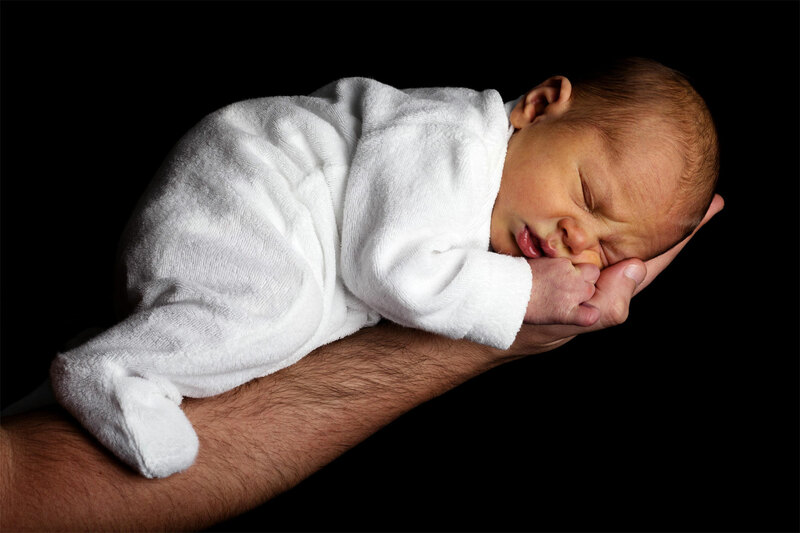 Remedies may differ between babies, so pick the one that best suits your baby. I’ve found one of these top three usually do the trick! Colocynthis 30ch is an excellent remedy for colicky pains and trapped gas when pressure and warmth bring some relief. This is the top pick for babies crying with colicky pains, so if none of the others fit, pick this one. Chamomilla 30ch is a remedy you can’t miss! Choose this one instead if your baby screams angrily and cannot be soothed, or only temporarily. She may want something, but then throws it away. This is an excellent remedy for colic, teething and even colds with fevers as long as these emotional symptoms are present. It’s as though the nervous system is on edge and any pain is felt with excruciating intensity. Belladonna 30ch is the better choice when symptoms appear suddenly and intensely, especially if they appear with a fever, and the head is red hot but the hands are cold. Fevers in a young baby should always be followed by a medical check up because babies can’t tell you what’s wrong—you can give Belladonna on the way to the clinic and you may find that symptoms clear quickly, as I’ve found Belladonna often works fast. Dosages: I’ve recommended the 30ch potency because it’s widely available at your local holistic pharmacy or health food store. These remedies come in pellets. To give a dose, it’s best to crush 3-5 pellets between two spoons and dissolve in a teaspoon of water. Give a dose only as needed, though you may need a couple of doses, in which case, repeat the doses about 2-4 hours apart. If there is no change after 3 doses, you don’t have the right remedy–seek the advice of a classical homeopath, a specialist in homeopathic remedies. The golden rule in homeopathy is to stop when the symptoms improve. If you find the remedies need repeating three times a day every day for more than three days, stop and seek the advice of a homeopath. Remedies for colic in the 30ch potency should only be needed sporadically after the initial few doses. Some parents find choosing their own remedies daunting in the beginning. If this is the case, there are combination remedies available which include the most common homeopathic remedies for colic, for instance Boiron’s Cocyntal. Although this is a blanket approach, I’ve heard it often works well. These combinations also come in lower potencies, so you can repeat them more frequently over longer periods of time. On another note, studies show that mothers with colicky babies are at an increased risk for postpartum depression, so if your baby and you are suffering, take heart, know it will pass and seek the advice of a classical homeopath. Studies show that women try to avoid medications while pregnant and breastfeeding, and if this is you, homeopathic remedies are remarkably safe and research shows that they can be as effective as conventional alternatives in treating depression. For more information on homeopathy for mood disorders, see my earlier blog: The Homeopathic Approach to Depression. In my experience, many parents turn to homeopathy to help ease the transition of those first few months because they are concerned about toxins in the environment, yet want home remedies that can help.